I would love to get to Bolivia, all the more so after reading Jean Dille’s report. Bolivian Chaco, 2017: Jean Dille, 5 days & 10 species including Puma, Jaguarundi, Ocelot and Jaguars. Not bad for 5 days! Wow! Impressive haul. Sounds like a place I’d like to visit. Wonder how it compares price wise to pantanal. Doesn’t seem like a particularly spectacular setting, so that’s a consideration and it doesn’t sound to hopeful for the future either, based on the last few lines of the report. Anyone else tempted? What could one combine this with for birds and mammals? You can write to nicksadventuresbolivia@gmail for prices and details. Kaa iya is a great place for mammals especially Cats but are having big issues with Park admin which is making tourism inside the park extremely challenging. Good places in Bolivia to combine mammals and birds include Madidi National Park ( only certain areas are productive), San Miguelito Reserve, Gran Mojas protected area for Blue throated Macaws and also I am looking into more remote area’s of the Beni as well. Hope that helps. Unfortunately, for the immediate future Kaa-Iya is a no go. I was scheduled to go with Nick at the end of last month but just a few days before we left the access situation went from difficult to impossible, for largely political reasons. I still highly recommend Nick, he was able to quickly arranges a plan B for us that netted 23 species, including Ocelot, plus jaguar tracks and camera trap images of Jaguar and Jaguarundi. Look for a trip report with more details in the next week or two. I’m looking to return sometime in November – December this year if anyone does want to give some other corners of the country a go. Noel Kempff Mercado is another great spot, but to see a lot of mammals there you have to plan it really well because there’s almost nothing in the parts typically frequented by visitors. Is it possible to get similar in Bolivia or Paraguay for a lot less? Noel Kempff Mercado seems to be a great place but Nick let me know that it is actually almost impossible to visit there. Why? In 2007 all you had to do was take a bus, and there were tourists (not many). It’s my understanding that the Bolivian parks administration has gotten somewhat hostile towards tourism in the more remote parks in recent years, which is causing a lot of the difficulties in Kaa-Iya currently. I heard similar things from several different tour operators and lodge managers while I was down there. In the case of Noel Kempff specifically, the main lodges that used to offer the majority of access to the park have closed due to lack of visitation and subsequent lack of maintenance. I get the impression it’s still possible to visit, just much more difficult and pricey than it used to be. The best option currently may be to try to approach from the Brazilian side, though this would be a legal gray area and could cause a lot of complications should any runins with park staff occur. What an idiocy, these parks were just beginning to attract visitors and were on track to getting sizable income from tourism. Usually such illogical restrictions mean that there’s something going on that somebody wants to hide. Vladimir i agree with the idiocy part.The only real access to Noel Kempff now is to the bioligical station mainly accessable by Cessna to a savannah/dry woodland area. 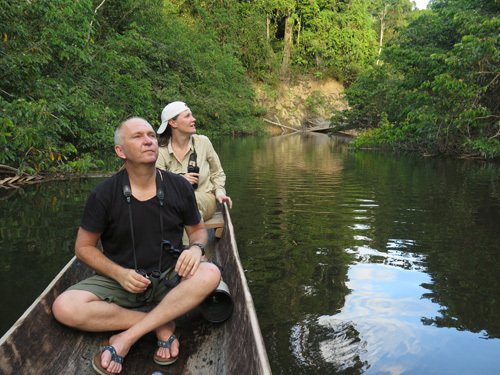 Great place but hard to see mammals and access to Amazonian part is now extremely hard. In Noel Kempff all lodges and internal roads are closed. So access to Los Fierros and other great mammal sites is again nearly impossible. About Kaa Iya, we are having more meetings to see what will happen but if the current admin does not change its thinking we will cease tourism here which is sad as its one of the best mammal watching sites especially for cat species on the planet.